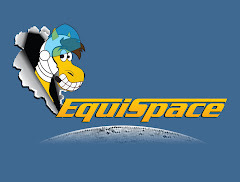 EquiSpace: I Want My HRTV! SUBJECT: I WANT HORSERACING TV™! Dear General Manager: I am writing to request that you add HORSERACING TV™ to your channel line-up.HRTV: HorseRacing TV is 24-hour television network dedicated to the sport of horseracing. There is nothing like HRTV on my lineup since HRTV showcases 15 hours of live racing daily, including coverage from legendary racetracks around the world. HRTV's unique programming also includes post parades, odds and results and live racing replays, not to mention the original programming including profiles of the athletes and historical racing information. As a passionate horse racing fan, I am asking you to consider providing us with options to watch Horse Racing on TV. Please let me know that I will be seeing HORSERACING TV™ as part of your channel line-up very soon. So I sent a letter and will continue to do so. I would urge everyone on DirecTV or otherwise to go to the link and do the same and to lodge a complaint at the SAFC. At least I am trying, doing nothing, accomplishes nothing. “We don't carry HRTV right now and we don't currently have plans to add it to our lineup. However, I have forwarded your request to DIRECTV management. In addition, whenever we add channels to our lineup, we release a statement to the press, so keep an eye on the news to find out about the newest channels or visit our web site at directv.com/pr"
I’m not giving up. Rudilyn J., buckle your seat belt. Hell hath no fury like an HRTV viewer scorned. Here in Johnstown, Atlantic Broadband does air HRTV on channel 9 on Tuesday, Friday, and Saturday evenings from 7-12 midnight. No day hours on the weekend so rarely see big races. Mostly Mountaineer, and some harness racing tracks, as well as hit-and-miss Australia. Disappointing, but a treat when it is on. You will not see HRTV on DIRECTV. Rupert Murdoch owns both DIRECTV and TVG and will not allow HRTV to compete against his TVG on his sat tv service. 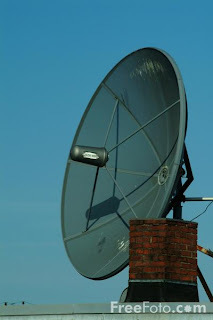 Just solve the problem and get Dish Network. Dish is superior to Directv in every way I measure a broadcast service. All horse racing fans should have DISH network. PC: That may have been true prior to February 2008, as Murdoch's News Corp transferred its interest in DirecTV to his pal John Malone's Liberty Media (it took 2 yrs for FCC approval) in exchange for Liberty's interest in News Corp, thus he doesn't own them both currently. He does still own a controlling interest in TVG through his greater than 40% interest in Gemstar-TV Guide (TVG's owners), but from what I've read he's trying to dump it. Regardless there is no reason other than bad blood why they shouldn't pick it up and vice versa. Not a football fan any more so Sunday ticket is a 10 hour waste of a valuable weekend afternoon for me. By the time you are done with the Sunday evening game Sunday ticket subscribers have digested 140 beer commercials, 120 useless stats, 115 commercials for male enhancement drugs while dropping their IQ 5 points. DIRECTV and Sunday ticket is not for me. While I agree the Direct TV/HRTV issue is absurd (what else isn't in this industry), I'm not sure why you are in a rush to watch HRTV. They are showing three tracks (Calder, Churchill, and Remington) that you can't bet via Twinspires. What a waste. And when they tire of showing tracks you can't bet, they show tracks that are running on TVG . I see that you need to NYRA channels, but most Comcast users just need one. Hopefully HRTV will buy TVG and we'll have two channels with two sets of non-duplicative tracks. Since that makes sense, it's not likely to happen. My system, Time Warner Cable shows the Capital Region OTB channel which is great. the NYRA tracks, Monmouth, Finger Lakes, Delmar, Woodbine, even Austraila at Night. Plus no inane commentary-just the races. Dish network revolutionized the way we think of entertainment on TV. With its variety of entertainment and the wide range of choices on offer, you can practically handpick every channel that you want to. We are also on Facebook, MySpace, Twitter and Orkut.